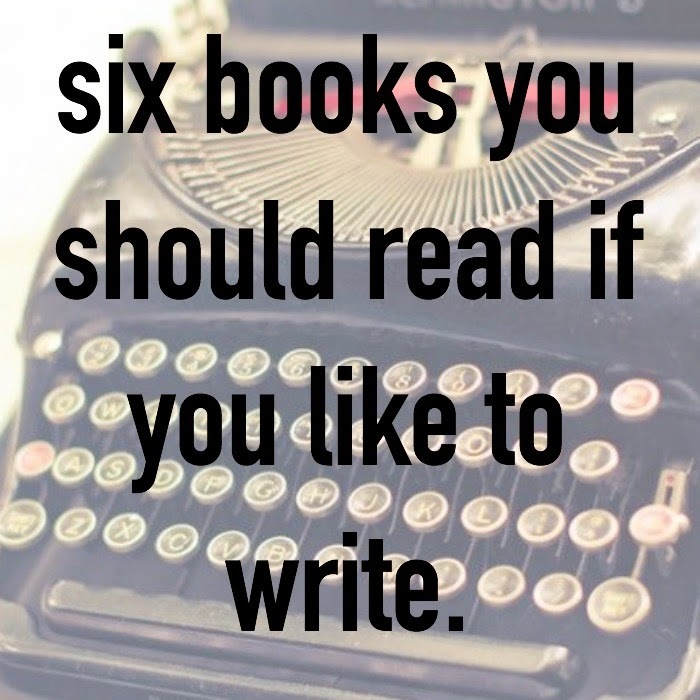 Six Books You Should Read if You Like to Write. | The girl who loved to write about life. Good for...getting the inside scoop from someone who has been both an author and an agent. Good for...90 days of exercises that will help you get better at sitting down and writing, rather than sitting down and thinking about writing. Good for...writers who like to-do lists. Good for...when you want to be reminded of why you love writing so much in the first place. Good for...learning how to transform creative ideas into story-form. Good for...when you need inspiration that also reminds you of how necessary hard work is. If you like to write, please read this book. It is wonderful. What's your favorite book about writing? For poets, In the Palm of Your Hand by Steve Kowit is a wonderful resource! Thanks for this! I'm in the (very early, aka brainstorming) processes of writing my first book, so this is super helpful! In every creative writing class I've taken both On Writing and Bird by Bird were practically requirements. For good reason two, they are both such wonderful books that taught me and others so much. Even being a seasoned writer now I continuously re-read them for inspiration and to further my work. I'm definitely bookmarking these! Always on the search for good books for writers. Thanks for sharing! I just pinned this so I can refer back to it after this school semester. Thanks for the list! I've heard so much about the Anne Lamott book--now I MUST read. Headed to buy it now! The only one I've read is the Stephen King book. These look like great suggestions though! I guess I have a lot of reading to do! Oh, I love Anne Lamott! I swear, I bookmark every other page in her books, she is such truth teller and an amazing writer. Bird by Bird is the best. Stein on Writing by Sol Stein and On Writing Well by William Zinsser are excellent! Thanks for this list! I've had Bird by Bird sitting on my desk since college, and I really just need to pick it up and enjoy it. I've heard so many wonderful things! Love this, will have to check out the books. I've never ever read a book about writing, which is strange actually now I think about it..! I've been wanting to read Nathan's book, but haven't picked it up yet. I LOVE Stephen King's book. I've read that one several times. So many good suggestions! Thank you! I finally got Bird by Bird this year for Christmas and am so excited to start it. Thank you for this! I need to check these out! I just found your blog! Honestly, I think its incredible! my favorite new read! :) added your social media... hope we can get to know each other and I pinned this for future references! I love Bird by Bird! It's my go-to writing book.